Maize Starch, Colloidal Silicon Dioxide, Magnesium Stearate. Thioctic Acid is a biologically occurring substance which acts as a cofactor in the pyruvate- dehydrogenase complex, the alpha-ketoglutarate, dehyrogenase complex and the amino acid hydrogenase complex. strong antitoxin effects. It protects the cell from free radicals that result from intermediate metabolites or from the degradation of exogenous metals. Dihydrolipoic acid also scavenges superoxide radicals and hydroxyl radicals and prevents lipid peroxidation Thioctic acid delays the onest of motor hexacabon- induced neuropathy and dihydrolipoate protect neurons against ischemic damage inhibition of accumulation of free oxygen radicals in cerebral tissues. Thioctic acid stimulates the synthesis of nerve growth factor (NGF) hence improvh nerve conduction velocity. Thioctic acid improves endothelial function by increasing the synthesis of NO vasodilator. Thioctic acid reduces insulin resistance by translocation and activatior of GLUT4 receptors. a lipelic acid (ALA) can be synthesized by both-animals & humans it seems to be readily absorbed from an oral dose and converts easily to its reduced from, dihydrolipoic acid (DHLA) in many tissues of the body. An in vitro study indicated that normal mammalian cells appear to be capable of taking up 0- lipoic acid and reducing it to DHLA. The effects of both ALA and DHLA are present both intra- and extracellularly when exposed to extracellular Lipoic acid, eg, in an oral dose. – Neuritis, polyneuritis & optic neuritis. The patient begins with 300 mg twice daily then the dose could be reduced to 300 mg once daily or as directed by the physician. Not recorded in the recommended doses. 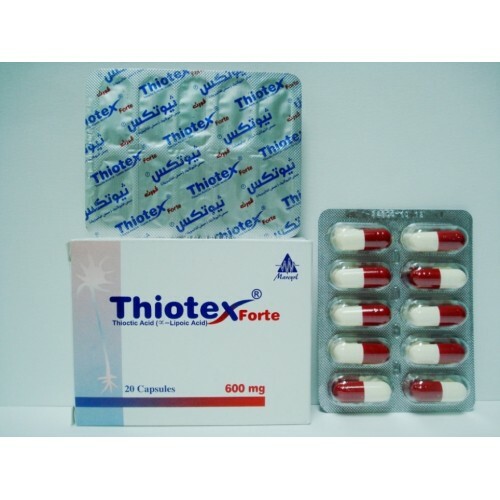 Dose must be adjusted in diabetic patients as thioctic may decrease blood suger levels of glucose and has an additive effect to insulin and other hypoglycemic medication. 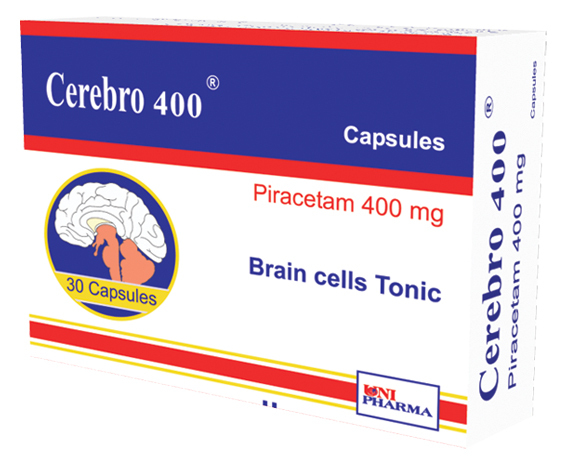 Carton box containing 1, 2 or 3 strips each of 10 capsules and insert leaflet.